Any trip to a great museum city (like Washington DC) is a "moveable feast" of sorts. I was delighted to gather with my fellow members of The Museum Group recently for our winter business meeting in Washington and to go on a museum-viewing spree. 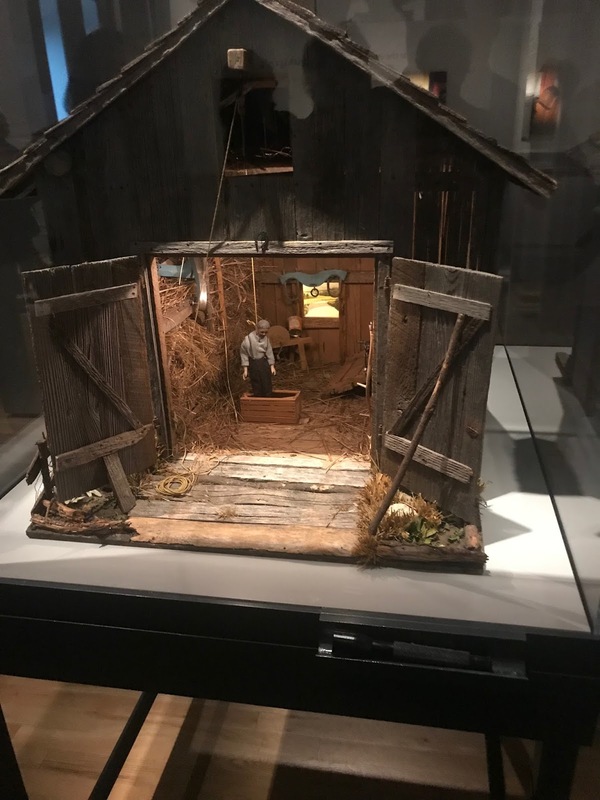 In particular, three museum experiences really stood out: the new Museum of the Bible (MoB), the Smithsonian's National Museum of African American History and Culture (NMAAHC), and a temporary show at the Renwick Gallery. 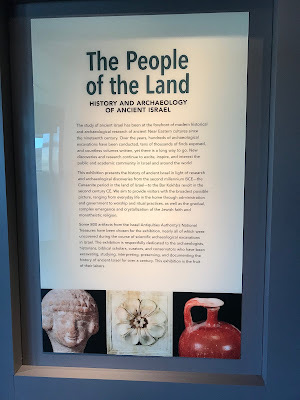 I have to say that I was sort of dreading my visit to the Museum of the Bible (MoB) a bit, mostly because of the political views of the Hobby Lobby family that funded the museum, but also due to a number of news stories outlining questionable practices used by MoB to obtain artifacts. But, to be honest, I felt as a museum professional I "had" to visit one of Washington's newest and largest museums. And (spoiler alert!) 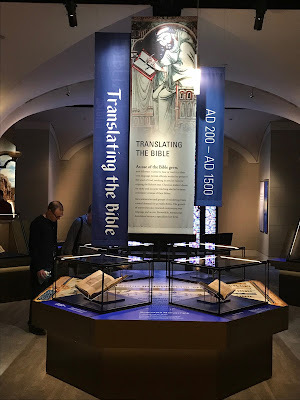 overall I was pleasantly surprised and impressed by my visit to the Museum of the Bible. Overall, the architecture and exhibitry were top-notch. I didn't feel like I was being preached to at all. It was easy to see that large sums of money were spent on the museum through technology and the fit and finish of exhibit furniture. Even the security checkpoints were designed to be visually appealing. Almost as if deflecting concerns about the provenance and authenticity of artifacts, MoB signage and exhibitry seemed to go out of the way to highlight issues for the public. If the authenticity of some scroll fragments were unclear, labels clearly stated that. Similarly, a temporary show called "People of the Land" made repeated mention that all the show's artifacts were on loan from the Israel Antiquities Authority. Central exhibitions like the "History of the Bible" galleries were quite large and jam-packed with artifacts, videos, and interactive elements. Of course, as with any newly-opened museum, the Museum of the Bible was still sorting some things out. 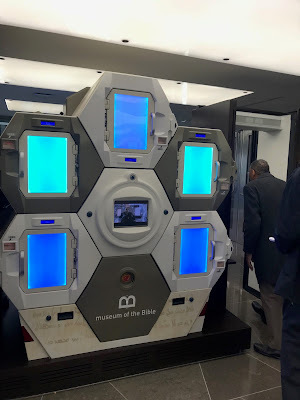 Certain technologies (like all the touch tables in the lobby) were not yet operational and some artifacts were not yet in place. 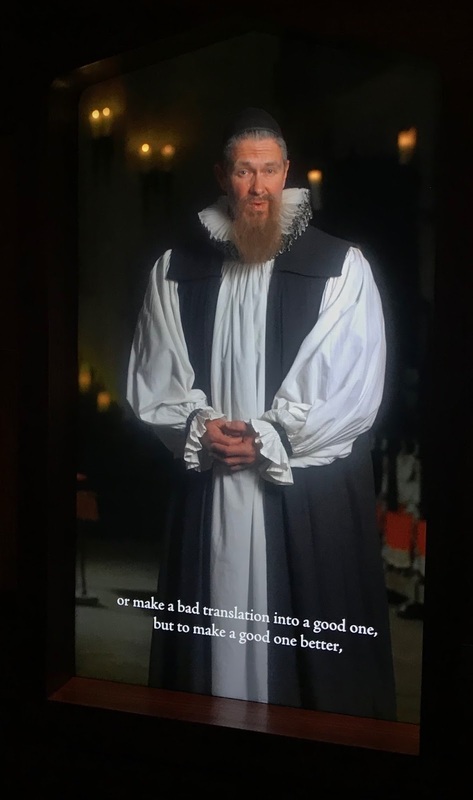 Many of the historical videos had the worst false beards I've ever seen -- like cotton balls stuck on the actor's faces! (Maybe it's a Hobby Lobby thing ... or an artifact of HD video.) But those are small quibbles. Worst fake beards -- ever! My large quibbles about the Museum of the Bible involve the "dumbing down" of content or (in my view) underestimating the audience. 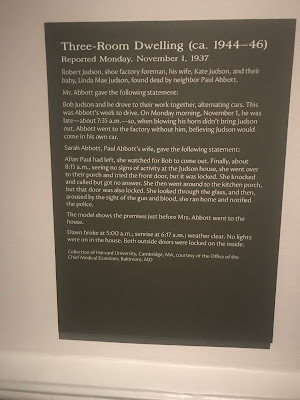 Fortunately, this only happened in a couple of spots inside a very large museum. 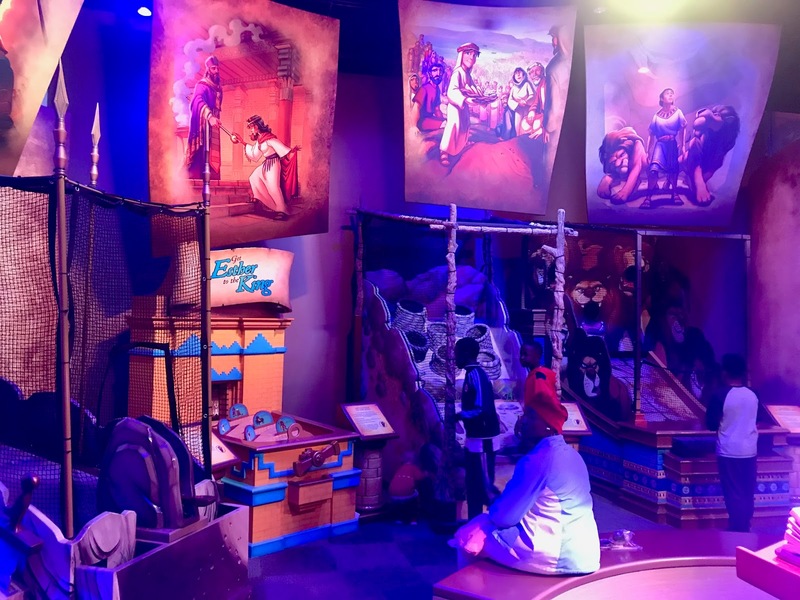 One example of underestimating the audience was in the "Drive Thru History" theater, an annoyingly simplistic jaunt through biblical history (Jerusalem! Rome!) with matching vehicles --- a jeep in the Middle Eastern desert and a Ferarri(?) for zipping around outside the Roman Coliseum. 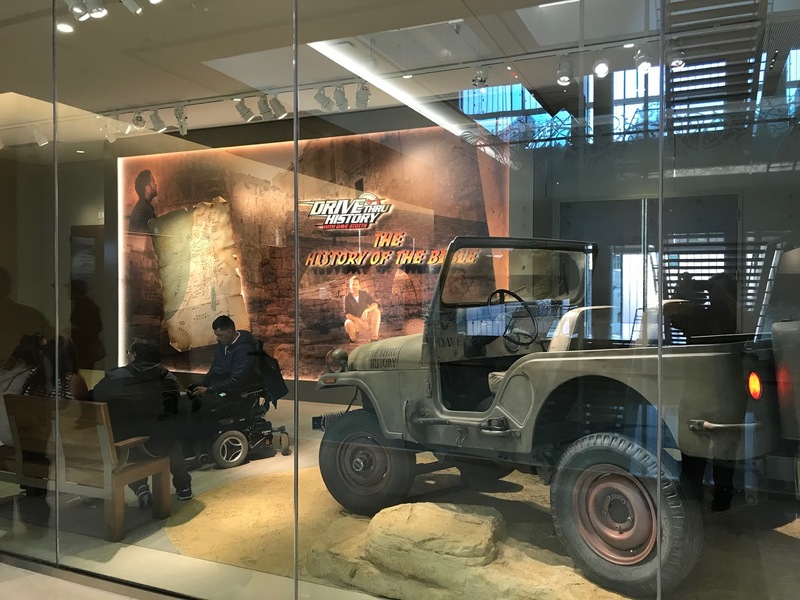 "Drive Thru" the history of the Bible! It really is disappointing that the Museum of the Bible blew the opportunity of the Children's Area, especially since so many families with children were clearly visiting, and also when there are wonderful and thoughtful biblically-themed experiences and exhibits (like the Skirball Center's Noah's Ark) that could have served as better models. Despite my reservations, overall I found the Museum of the Bible a good museum experience --- definitely worth a visit while in DC. 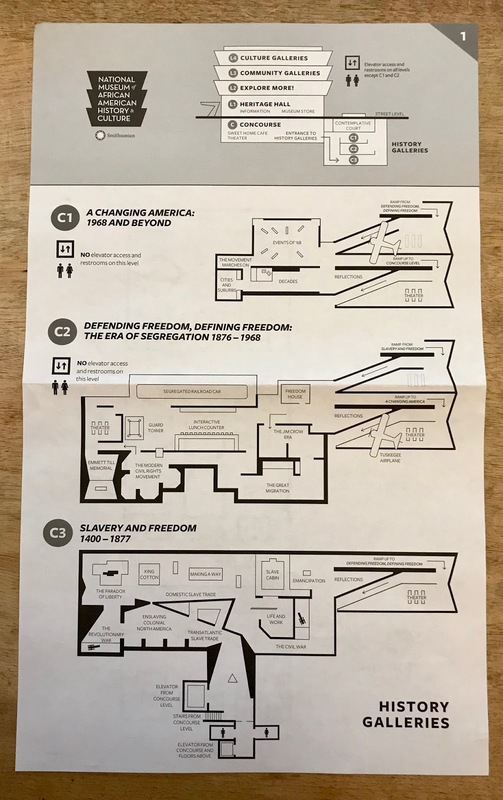 To be fair, my expectations for the National Museum of African American History and Culture (NMAAHC) were set VERY high. 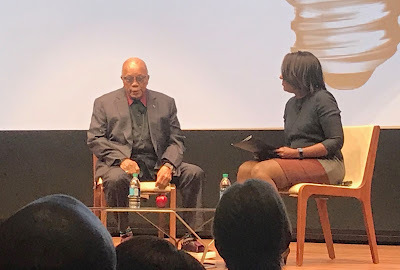 Every one of my museum colleagues who had visited had great things to say, and I had read many glowing accounts in the press that made clear that NMAAHC was a "pilgrimage" site for many visitors. 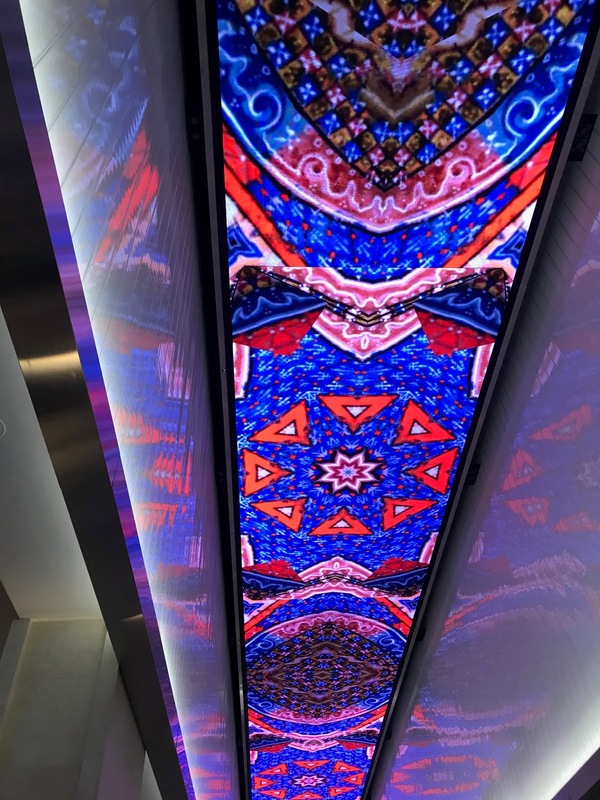 I did not take any pictures on the bottom three floors, because for me, personally, I was too absorbed in the experience. 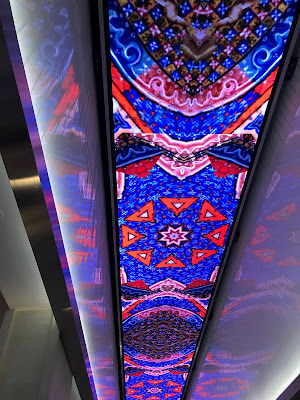 It also felt (again, for me personally) obtrusive to other visitors' experiences to take pictures on these floors. There was a lot of sobering material to try and absorb --- slave shackles, photos of abuse. 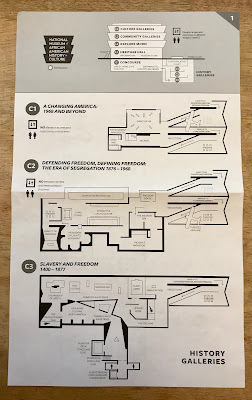 The woman at the Information Desk told me (quite accurately) that I would need at least two hours or so to move through the lower three floors. 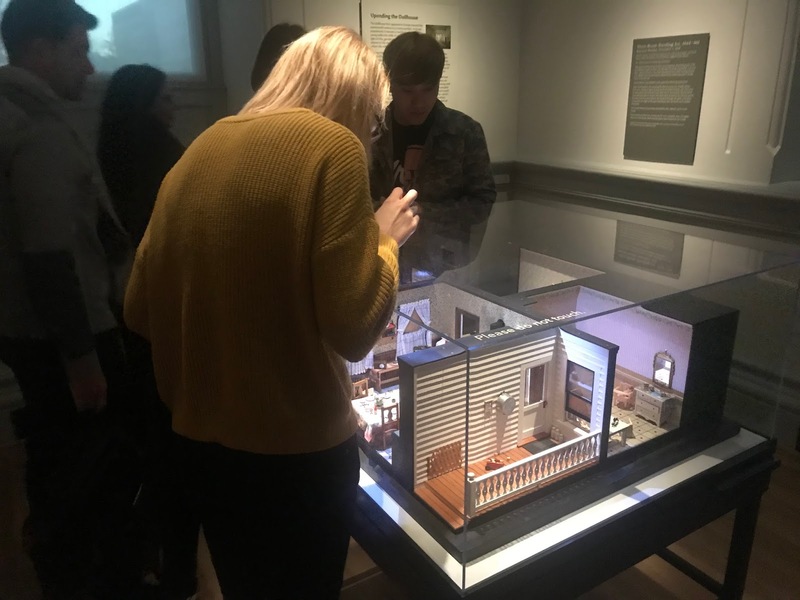 It was clear that some visitors were easily spending twice that amount of time in what are collectively called the "History Galleries." 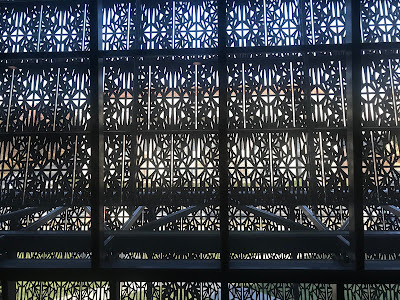 After the Quincy Jones talk (part of the NMAAHC's extensive programmatic events) I made my way to the upper galleries --- where I did take pictures! The upper galleries revolve around topics of Community and Culture. 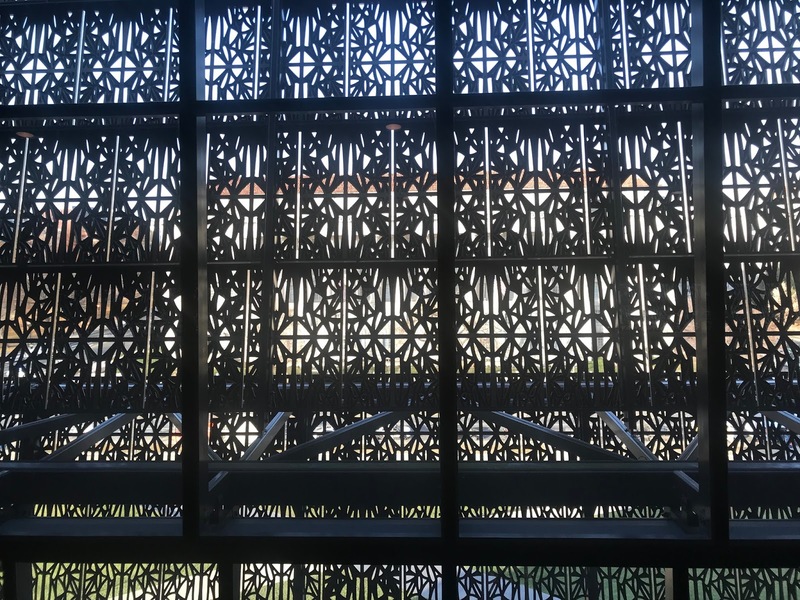 Although at all times you can't help but feel enveloped by David Adjaye's thoughtful architectural design as you move around the upper floors. Two objects especially spoke to me during my explorations of the Culture Galleries, both coincidentally called "Mothership." 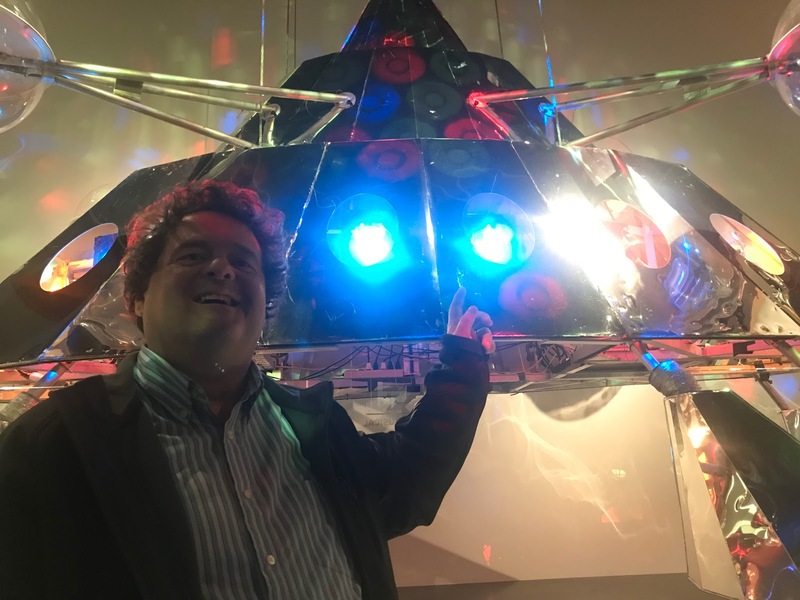 The first was a version of George Clinton's "Mothership" from his tours with Parliament Funkadelic. I just really enjoy P-Funk's music so the object is particularly iconic for me. 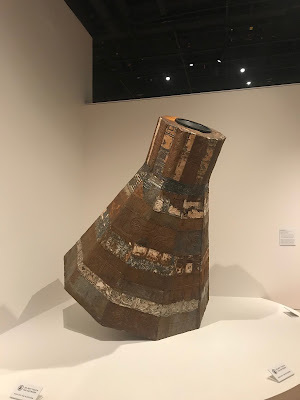 Another "Mothership" I encountered was a piece by artist Jefferson Pinder constructed from reclaimed tin panels found in Baltimore and fashioned into a space capsule. It was breathtaking! Of course, given the way that the National Museum of African American History and Culture has continued to resonate with such large, diverse audiences in its first year of operation, NMAAHC may be its own "Mothership" of sorts. 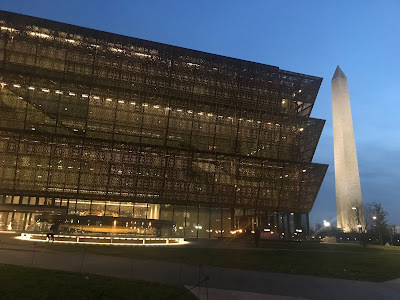 Definitely on the "must see" list if you are visiting Washington, DC. I had absolutely no expectations as I wandered into the Renwick Gallery to kill an hour or two before dinner. Little did I realize that any absolutely fascinating temporary exhibition called "Murder is Her Hobby" was tucked inside. 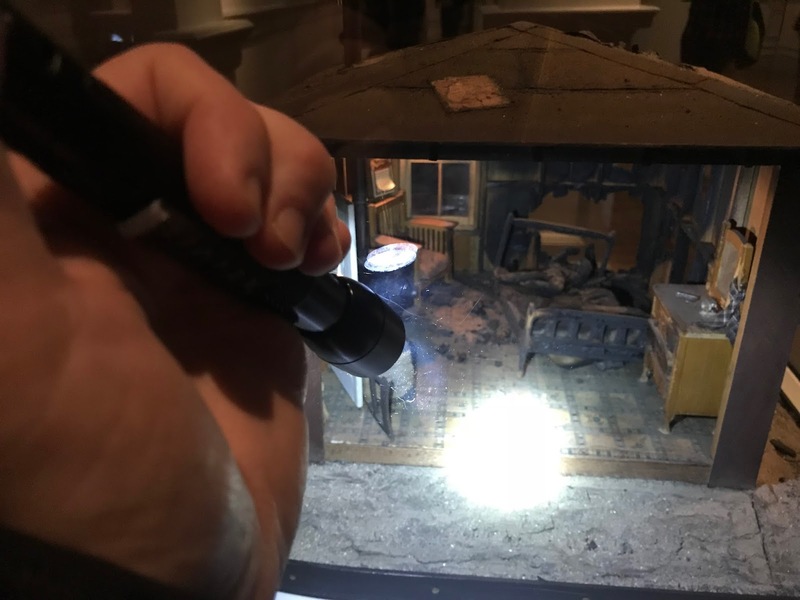 The exhibition shows the work of Frances Glessner Lee, who created a series of miniature vignettes (that she called "Nutshells") of murder scenes to help train detectives and coroners. Who knew this could be the basis for such an engaging show? 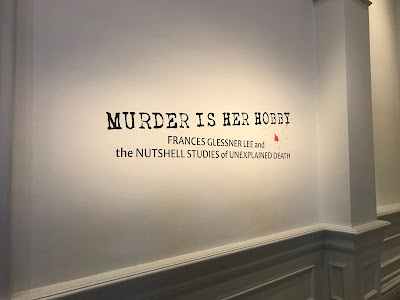 Most of the exhibit labels read like a mini murder mystery describing each "Nutshell." Visitors were intently focused and carefully observing minute details of every installation. 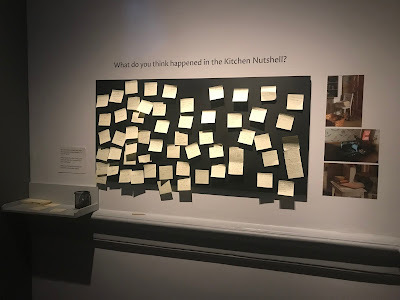 I can't help wondering what lessons (especially for Art Museums) could be learned from this exhibition. The Renwick also provided (untethered!) flashlights to allow people to focus even more carefully on particular details within each Nutshell scene. The exhibition about Frances Glessner Lee's work, as well as my visits to NMAAHC and the Museum of the Bible, made me reflect on the inherent power and wonder found in museum experiences --- whether we are expecting them or not.